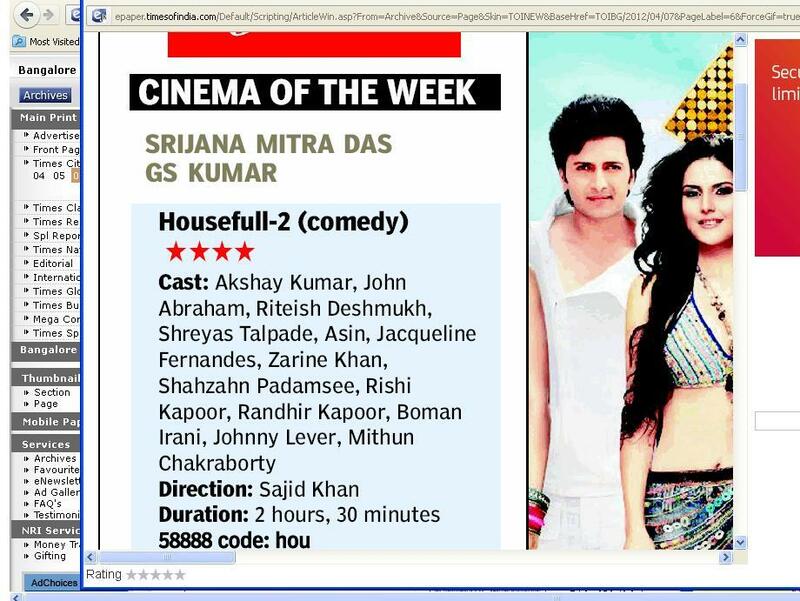 Times of India’s film critic Srijana Mitra Das has given 4 stars to Sajid Khan’s Housefull2. Who is this enlightened soul? Someone please introduce us to him/her. Seems like a bong. And a bong with such unique taste in cinema must belong to some rare tribe. Anyway, if the 4 stars weren’t baffling eough, there’s more to the story. Take a look at this pic. This is the Bangalore edition of TOI. Have taken a screengrab of the review page. Reviewer is the same Srijana Mitra Das and rating is 4 stars. Now take a look at this next pic. This screengrab is from the Chennai edition of TOI. Again, reviewer is the same Srijana Mitra Das. But the rating is 2.5 stars. Who ate up my 1.5 stars? Same film, same reviewer, same newspaper but two editions and two different ratings. Who writes the reviews? Who gives the ratings? 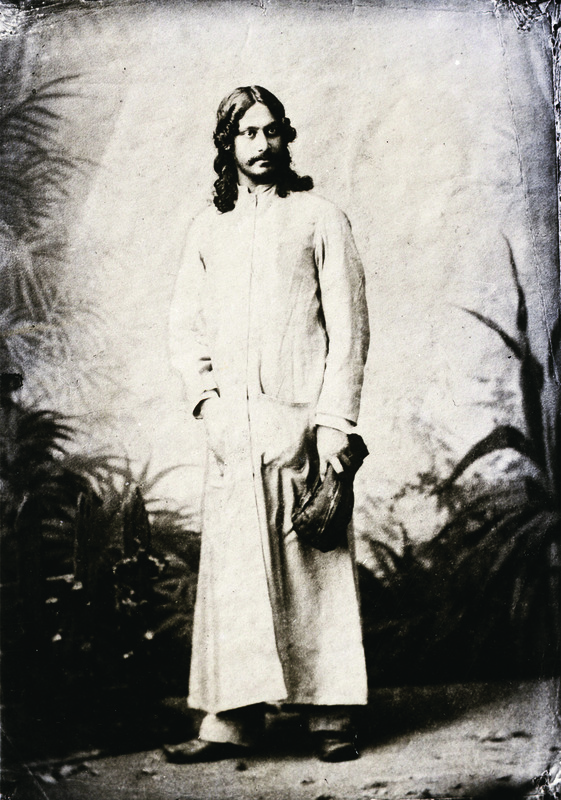 Does Srijan Mitra Das really exist? CAN SOMEONE PLEASE EXPLAIN THIS TO US? Golmaal hai bhai sab golmaal hai..
Obviously the producers bought plenty of ad space on TOI Bangalore Edition and not enough in Chennai. srijanapiya17 is her twitter handle it seems.. lolzzz…Another Faridoon in the making..
Why are we even discussing Housefull 2? Tsk Tsk…. :)..So True. Why even pass by the trash. TOI’s rating is based on sensibilities of people in those cities. Bongs are no fool mind it..
@jeevak03 – going by your reasoning the rating in the Chennai edition should have soared through the roof. Fascinating. A living example of Caretsian dualism – her mind and body are distinct and they respond differently in different cities. Also, have you considered that the ratings might be actually that of the ditor rating the review (meta)? The Chennai editor has stricter standards in language.